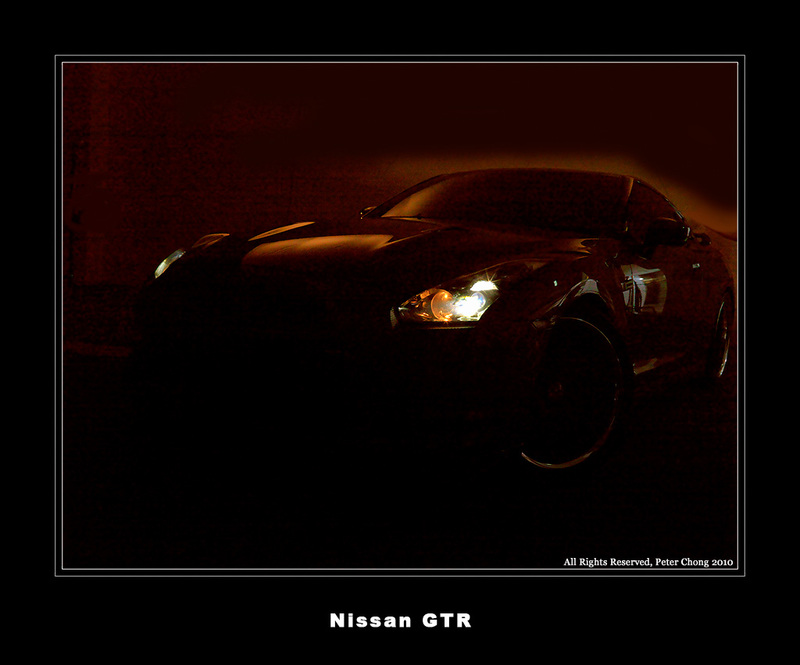 Nissan GT-R: Photoshoot with model. The Nissan GT-R is not new, but it has developed a reputation of being a Porshe killer. When the Hasselblad Users Group wanted to do a car shoot...I first offered to arrange a Pagini Zonda...but they felt that as this was our first car shoot for the group, perhaps a less exotic, but still interesting car might fit the bill. The GT-R does this trick. Superb car, and we were lucky to have Rebecca as the model who slithered on the car. 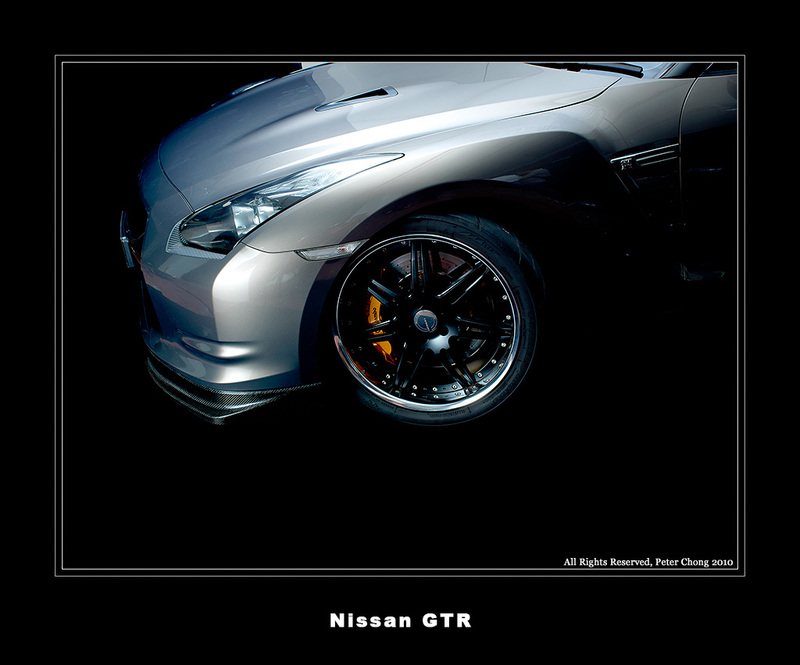 I don't normally do model photographs, but Rebecca was a pleasure to work with, so I thought I'd show these shots with GT-R as a prop. Click on remainding pics for a 1920 pixel wide superwallpapers. I did take many photographs of the car alone, but perhaps for another day, eh? Many thanks to Raymond Kong for the use of your marvellous automobile. Apologies to Rebecca...as we are a camera nut group, I left the photographs un-retouched...no photoshop of anykind except for levels and resizing (and where appropriate, addition of frames)...except for the two car only photographs...which were photoshopped to death...muahahahahah (evil laugh). Who would turn down the Pagani Zonda? I'd die to shoot a car like that.